"At this stage, we must first agree on a joint programme, a manifesto that outlines the priorities on which all pro-animal parties of Europe will work towards" told European Interest Kyriacos Kyriacou, president of the Animal Party Cyprus. Today, among the many political movements and parties that have emerged in the European Union and that are strongly committed to promoting animal welfare issues, there are the pro-Animal parties. In the actual European Parliament only one of those parties is represented, the Party for the Animals (Partij voor de Dieren; PvdD) from the Netherlands. But the movement of the Animal parties in Europe is growing and there more parties declaring the ambition to send representatives in Brussels after the next European elections. The Animal Party Cyprus, which has been rather successful in courting supporters since its founding just a few years ago, is among them. The party decided to run in the forthcoming European Elections 2019 at a recent meeting of the Party’s Central Committee. 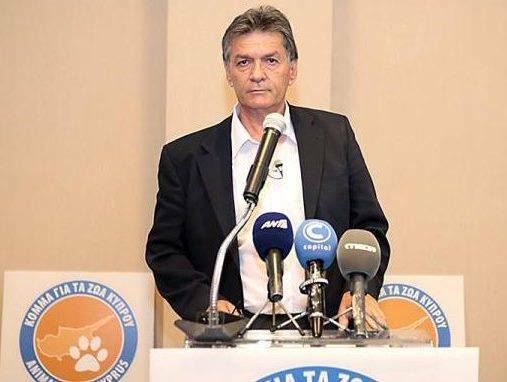 In an interview with European Interest, Kyriacos Kyriacou, the president of the Animal Party Cyprus, said that as a part of the European family of pro-animal parties, his aims are to boost coordination of pro-animal activism on a European level. The moment arrived! In the first week of April a delegation from the Cyprus Animals Party will join other sister parties in Brussels to discuss a common electoral manifesto, common positions and a common strategy for the European elections.